I remember the dashboard looking just like this. 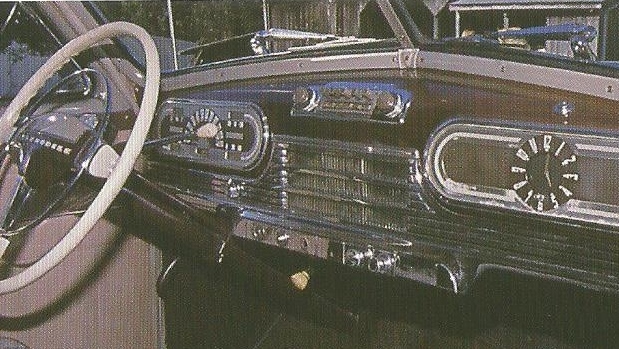 It was 1955, and the car was a 1947. The clock had stopped. 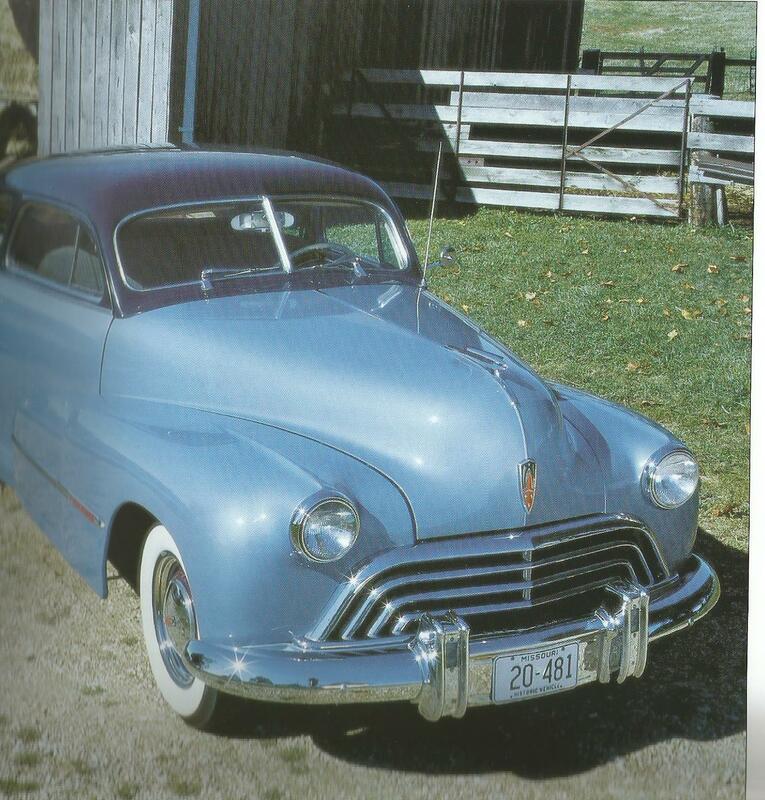 The photo above from Cars of the 1940s by the Auto Editors of Consumer Guide; the photo below from Cars of the Fascinating ’40s by the same editors. Our Oldsmobile was black, and Southern California was full of orange groves. This entry was posted in autobiographical memory, cars and tagged 1947 Oldsmobiles. Bookmark the permalink.